Your mother knew what she talking about when she told you to trust your instincts. Whether it's about quitting your job, buying a new car, relocating to another place or city or just dumping your girlfriend. You've probably spent innumerable hours pondering the pros and cons of your decision... Only to take some decisive action, which unfortunately has been wrong one! With big time egg on your face, you've wondered about the uselessness of thinking at all and berated yourself for listening to your instinct(and mother too!). And you really couldn't be closer to the truth. If research is to be believed, instinctive snap decisions are more reliable than decisions take using higher level cognitive processes. Says Dr. Li Zhaoping, of the department of psychology at the University college London, "The conscious function of the brain actively vetoes our initial subconscious decision, even when the latter is correct, leaving us unaware and distrustful of our instincts." that would explain why we go into alcoholic binges, drug overdoses, chain smoking, parallel relationships, abusive behavior etc, in spite of knowing - instinctively- that what we doing is wrong. Very often, our gut feel is screaming out that we should stop in our tacks and not indulge in potentially harmful actions. but we blithely go ahead only to hang our heads in confused dejection later. According to psychiatrist Dr. Harish Shetty, most of us believe in our instinct but very few of us actually listen and pay heed to it. he explains, " Instinct is a broad term as it's a combination of basic urge and a higher form of understanding that is beyond logic. You could call instinct logic on fast track! When the basic urge overwhelms us, we lose our sense of balance and logic. That's when we do what we are habituated to as it's more pleasurable. 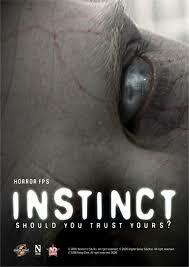 Thats not true instinct. That's bowing to one's hormones..."
Generally, our instinct - or inner voice and subconscious mind - and our thinking are at war with each other. And that's when our rational mind comes in the way of our listening to our inner voice. States Dr. Anjali Chhabira, a consultant psychiatrist and psychotherapist, " Our learned behavior comes in the way of our paying heed to our instinct. Things like guilt, fear responsibilities, duties, expectations, etc, have to be factored in, which makes us ignore our inner voice." You instinctively know that buying the latest multi-featured mobile phone will not only burn a hole in your pocket but will also be of not much use to you, yet you go ahead and make that purchases. Why? Because you think your peers expect you to flaunt the latest gadget. That's your conscious mind stonewalling your inner voice. Or you may know that indulging in a one-night stand is neither really you and nor is it sign of fidelity, yet you dive between sheets. Why?That's because your basic urge takes over, tells your instinct to mind its own business as the task at hand is far more pleasurable than momentary abstinence. As Dr. Shetty says, "Whether we pay heed to our instinct or not depends on our state of mind." So if instant gratification is need of the hour, then you just down the shutters on your inner voice. Instinct is inborn, but it needs to be developed. Your conscious mind has to be consciously free and alert to listen to your inner voice, your subconscious. So just suspend thinking for a while and listen to what your instinct says... you may not land up With pie on your face often!